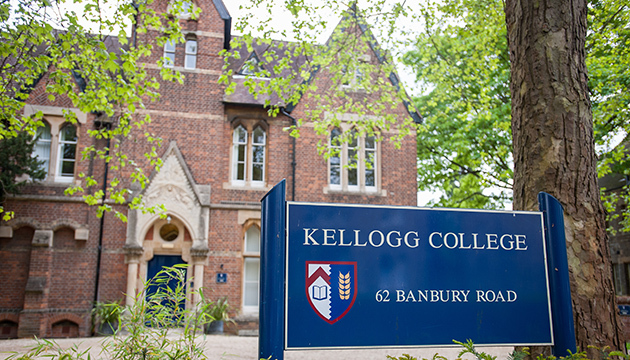 I’ve been involved with Kellogg College in Oxford since it was founded in 1990. My colleague Ed Weiner from the OED and I were two of the very first wave of non-teaching Fellows appointed by the College. The College has maintained close links with Oxford’s Department for Continuing Education, and in the early days they shared premises at Rewley House in Wellington Square. But since then both have grown, and Kellogg now has extensive buildings of its own on the Banbury Road. Traditionally – and after twenty-five years we do talk tentatively of “traditions” – Kellogg catered for part-time graduate students. It now takes both full- and part-time graduate students, from a wide range of backgrounds and nationalities. 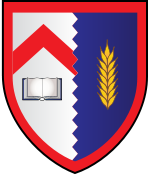 My first brush with College administration was as a member of the original College crest committee: we had to invent a tradition there too. Since then I’ve been a College Adviser to students, and at the moment I’m one of the College’s Deans of Degrees, shepherding groups of matriculating and graduating students down to the Sheldonian Theatre for their official ceremonies. Now that I’m an Emeritus Fellow and have moved away from Oxford, it’s nice to have a perch at a friendly college to come back to, near to all the libraries etc of the city. Here’s my page on the Kellogg website.